Hey my name is Kate, i'm 18 and obviously female. I'm kind of looking for help and advice on getting into riding. I love riding so much but I don't have any mates into it so its actually kind of hard to learn more about bikes and riding. Sooo Ive signed up here to get some answers - I am sorry for sounding like a complete newbie but any information would be so appreciated. Ok so getting started, as I said - I have the Clash and really want to specifically get into Downhill Riding. I have a few downhill tracks near me but my problem is the bike obviously isn't all that suitable for muddy, hilly country side riding so actually getting to the tracks is slow and exhausting! How do downhill riders combat this? Are you asking how people get to the trails?? Driving? Sounds like you need to find some locals to show you around and how they do it. I couldn't answer specifically since I'm not in your situation. But a good place to start is a local bike shop. If you are asking how people handle being under biked on DH trails, that's an entirely different answer. Depends what you mean by 'downhill' riding. For most lift assisted bike park downhill riding, you'll want to ride a full suspension. I say most, because there is one mountain near me that has lift assisted downhill, but it's really geared towards families and I can ride it with my trail bike. For cross country trails that have fun downhill sections, you just need to ride more. The more you ride the more your stamina will increase and then the rides to the trailhead and up the climbs will get easier. You can find plenty of riding groups through this site, Facebook and Meetup. 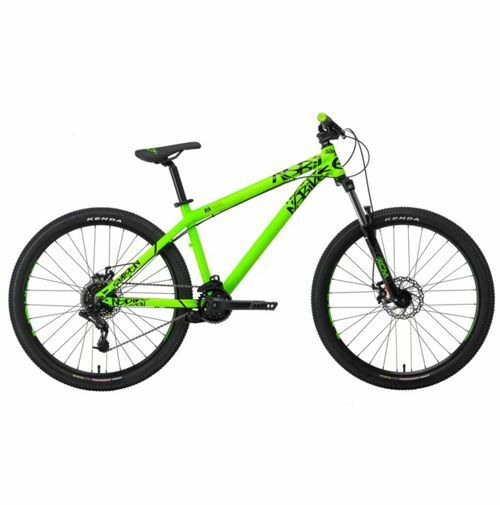 Looking to change the color of my bike and pretty ignorant of the whole thing..
Striders how young is too young?